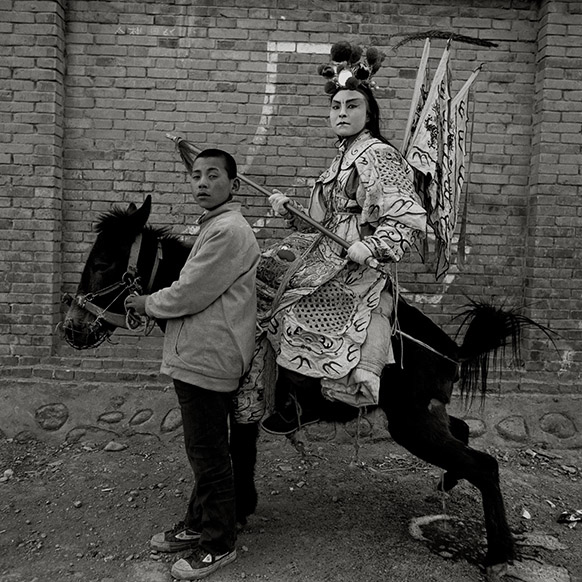 W: 49.0" D: 2.25" H: 41.0"
This evocative photograph is part of a series created by artist Sze Tsung Nicolas Leong that explore China’s complicated relationship with its ancient past and anticipated future. 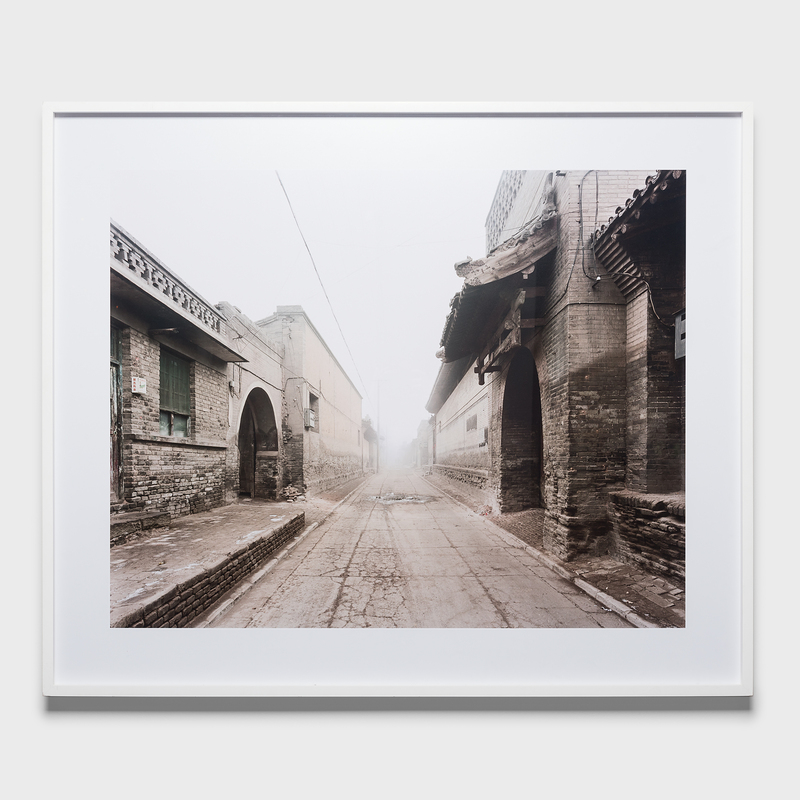 In this 2004 photograph, 100-year-old buildings line a vacant street in the old walled city of Pingyao in Shanxi province. 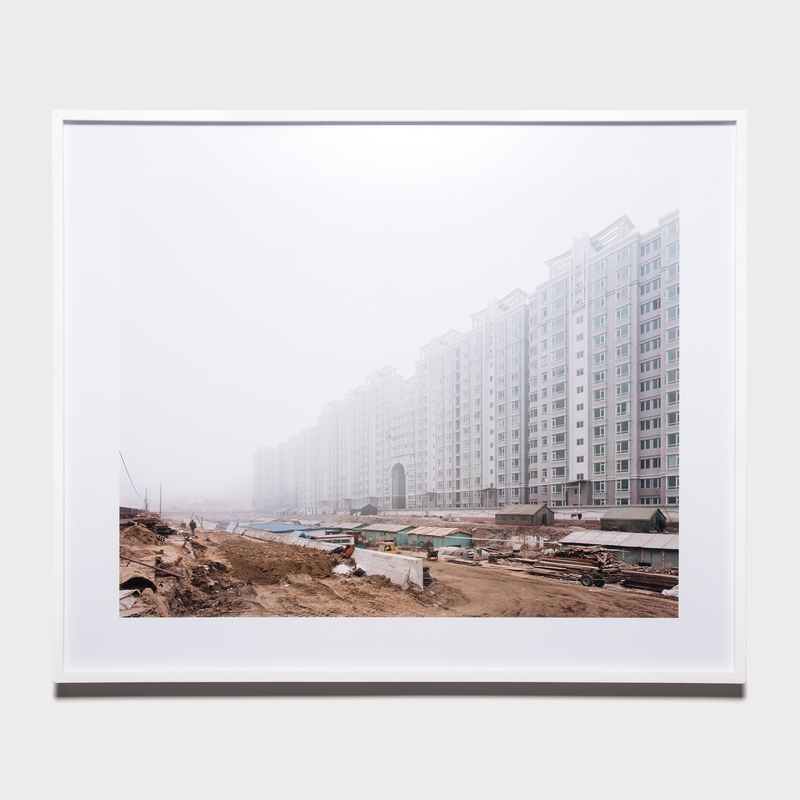 Taken with dramatic perspective, the photograph pulls the viewer along the empty street towards a vanishing point obscured by mist, suggesting the ways in which history is cast aside during the country's rapid acceleration towards an unclear future. 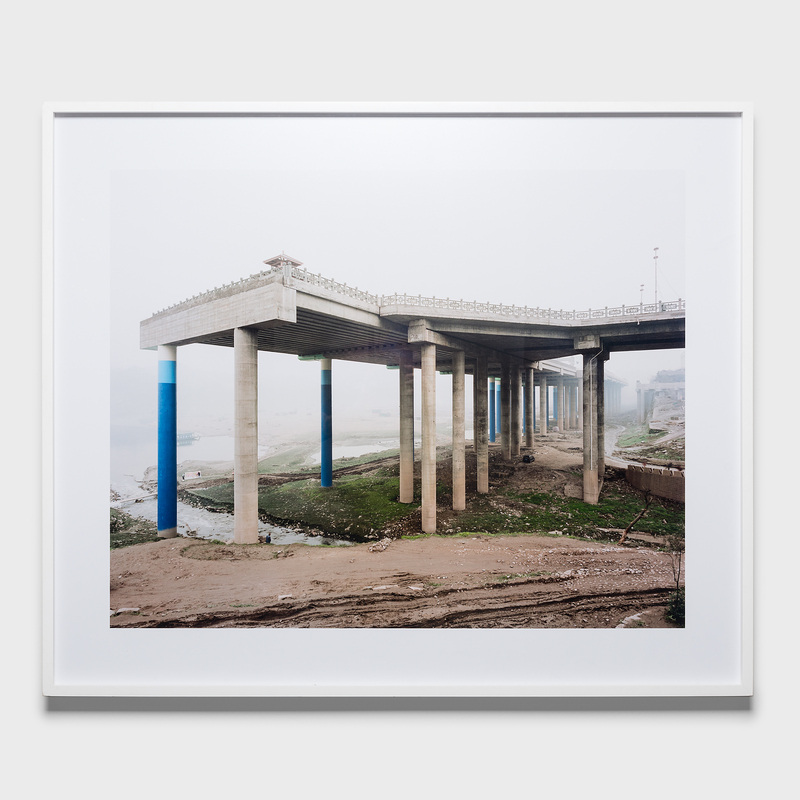 Sze Tsung Leong's works are included in the permanent collections of the Metropolitan Museum of Art and Museum of Modern Art in New York, the Victoria and Albert Museum in London, the San Francisco Museum of Modern Art, the National Galleries of Scotland, the National Gallery of Canada, the Museum of Fine Arts, Houston, and the Yale University Art Gallery, among others. Framed c-print, edition 3 of 10. Signed, numbered, titled and dated on Verso. Professionally framed in white wood to the artist's specifications.